The official Francigena followed ancient Roman roads and so pilgrims walked along the Aurelia. Unfortunately, nowadays this has turned into one of the most traffic ridden roads in Italy. Therefore, after crossing the last part of the Appennino mountains, and within view of the sea, we leave the official route and, from Sarzana, walk slightly to the east on trails and secondary routes on the hills that overlook the Mediterranean. 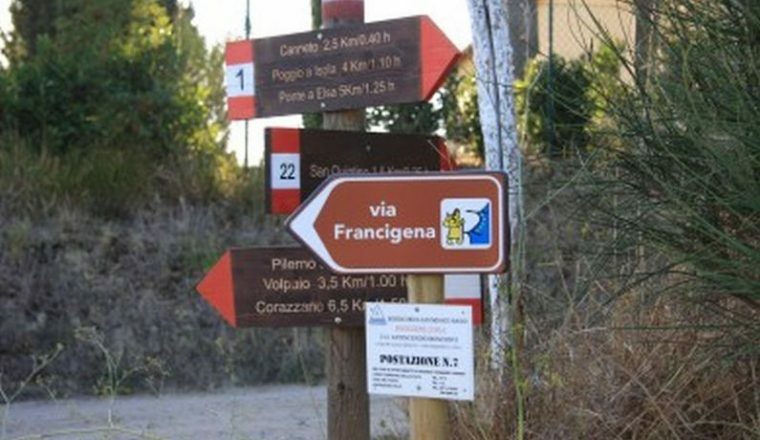 This is the fifth stage of the Via Francigena, the Pilgrim Route to Rome.The official Francigena followed ancient Roman roads and so pilgrims walked along the Aurelia. Unfortunately, nowadays this has turned into one of the most traffic ridden roads in Italy. 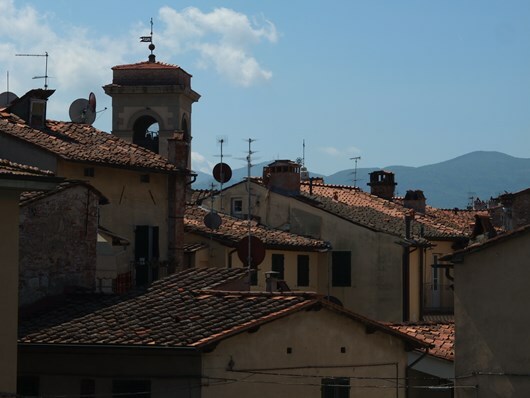 Therefore, after crossing the last part of the Appennino mountains, and within view of the sea, we leave the official route and, from Sarzana, walk slightly to the east on trails and secondary routes on the hills that overlook the Mediterranean. 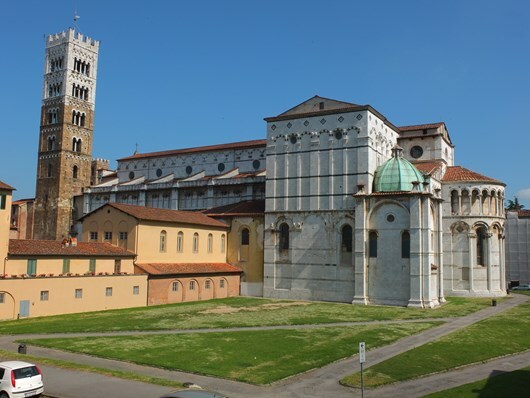 We pass near to Massa and Camaiore to reach Lucca. 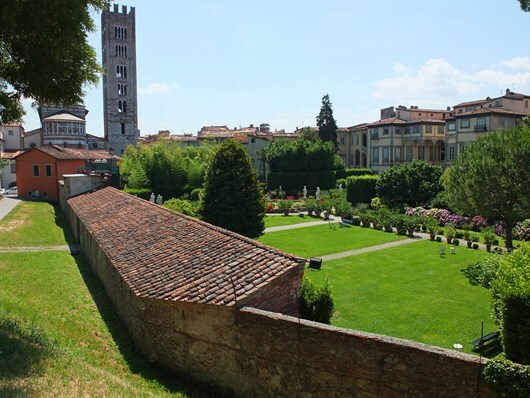 The week will end in the lovely village of San Miniato, the closest point to Florence. 7 nights. 120 kms (average of 20 each day). £659.00 per person based on 2 people sharing. Appennine Mts. 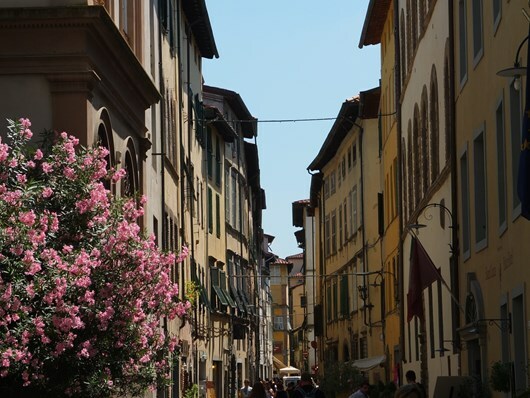 – first glimpse of the sea – Lucca – San Miniato. Daily departures March to November. 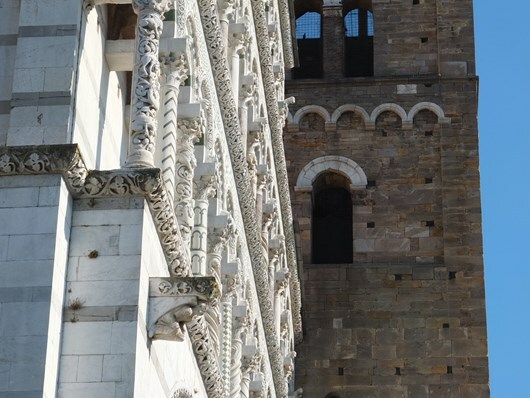 You can reach Aulla by train from La Spezia with a change in Sarzana. 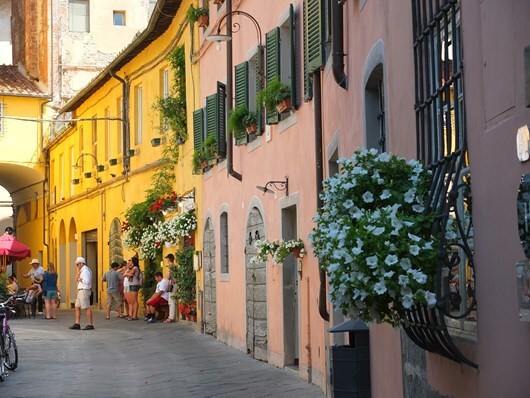 It is possible to spend 2 nights in Sarzana and catch a train for a 30 mn ride in the morning to Aulla (Sarzana being a nicer place to stay) where you will start your walk. Wherever you elect to spend the first night a package will be waiting for you containing all the material you need for the week: hotel and meals vouchers – detailed route notes and waterproof GPS maps with a container and a map holder for the route. The hotel owner will tell you who to contact if you require a benediction by a priest before you set out. 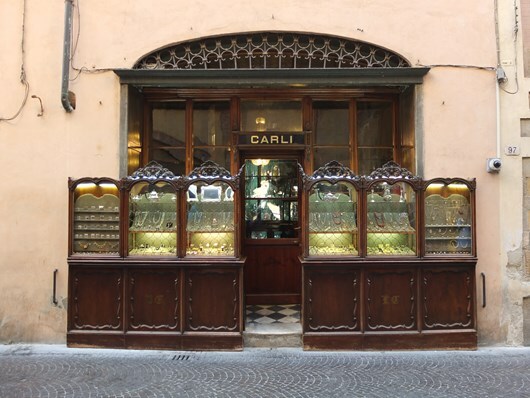 Day 2: Aulla – Sarzana. 17 km. Up: 605m – down: 660m. High point: 590m Castello di Bibola – Vecchietto – Ponzano Superiore – Castello della Brina (ruins) – SarzanaLeaving Aulla, in the shadow of imposing Brunella fortress, walk the last slopes of the Appennine mountains for a first glimpse of the sea. It is not an easy day as we are still in the mountains. Bibola is our first stop, then the ruins of the Brina castle before starting the descent towards Sarzana. NOTES: Trails and unpaved roads on the Mt Porro slopes and on Mt Grosso . 30% secondary asphalt. Wide views over the river Magra gorges. 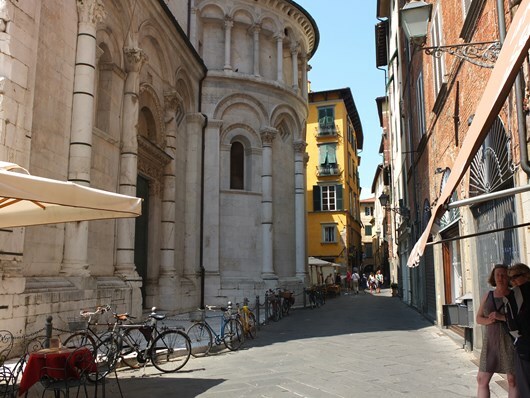 Day 3: Sarzana – Carrara. Distance: 24 kmDetails: Sarzana – Castruccio Castracani Fortress – Sarzanello – Villa Malaspina – Castelnuovo di Magra –Ortonovo – Carrara – Bargana – Pasquilio (hotel)NOTE: Partly secondary asphalt, partly trails. NOTE: Partly secondary asphalt, partly trails. 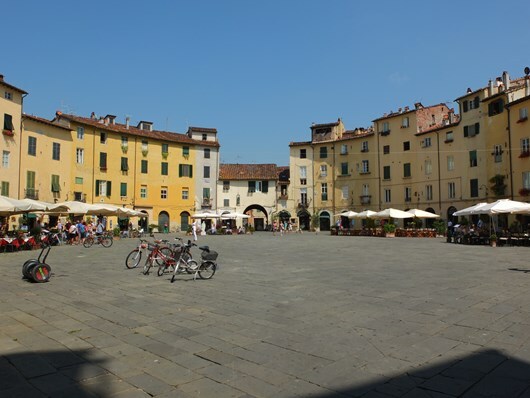 Day 5: Camaiore – Lucca. Distance: 29km (or 21km by using public bus) – highest point 228maltitude up: 383 – down: 403mDetails: Camaiore – Salapreti – Pieve – Valpromaro – Piazzano – San Macario in Monte – San Macario in Piano – Parco fluviale del Serchio – Monte San Quirico bridge – LuccaNOTE: Partly secondary asphalt, partly trails. 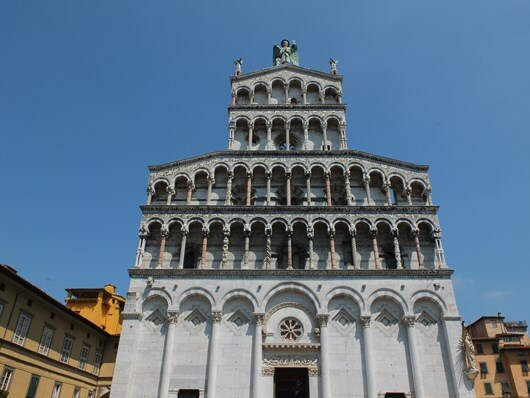 Day 6: Lucca – Altopascio. Day 7: Altopascio – San Miniato via Ponte a Cappiano.